The famous "Star Trek fight music" was composed by Gerald Fried. He jokes that his ASCAP (American Society of Composers, Authors, and Publishers) royalty cheques keep coming in, fifty-one years after he wrote that percussive and driving piece for the Star Trek episode "Amok Time". ("The Ritual / Ancient Battle / 2nd Kroykah", its cue-sheet name, was reused for two subsequent episodes.) Television series such as The Simpsons and feature films like The Cable Guy paid homage and money. Mr Fried was director Stanley Kubrick's first composer. They had known each other since childhood so it made sense that the oboist/composer and the photographer/filmmaker would get together to make some film art: Paths of Glory, for one. For television Fried wrote much music for the shows The Man from U.N.C.L.E. and Gilligan's Island, and many others. 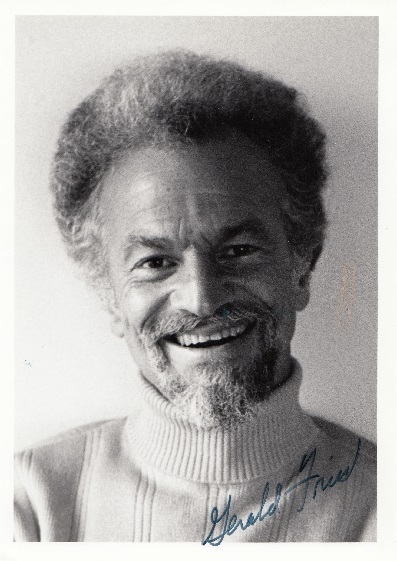 Gerald Fried turned 90 on the 13th of February. You can also add "Futurama", which used the cue when Fry travels to Dr. Zoidberg's home planet for ritual combat during the mating season. "All rise for our national anthem..."
Indeed. I picked "The Simpsons" as it's the more well-known example.